If you have been invited to download an app, visit it's my.yapp.us URL from your mobile device. See how here. 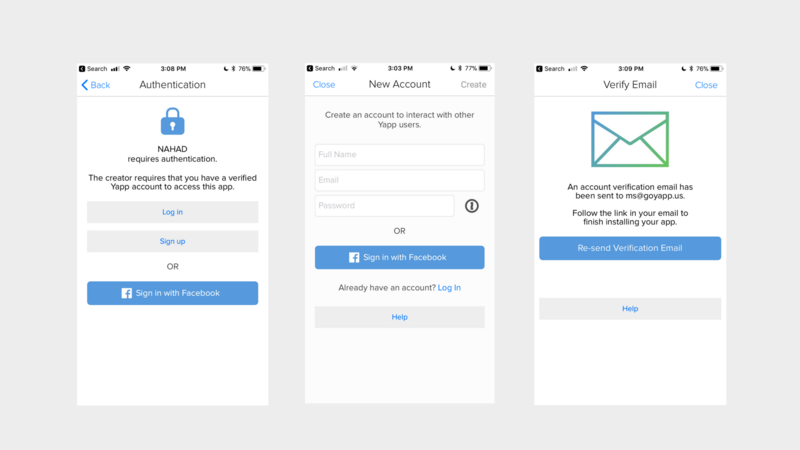 Your app creator may have required you to authenticate in order to download the app. If so, you will need to sign up for a Yapp account and authenticate your email address. Depending on the setting the app creator chose, your email address might have to match one of the emails on their private app list. If you enter an email address that is not on the list, you may not be allowed to view the app. Contact your app creator to add you to the private app list. If you are already logged into Yapp with an email address on the white list, the app will automatically download. 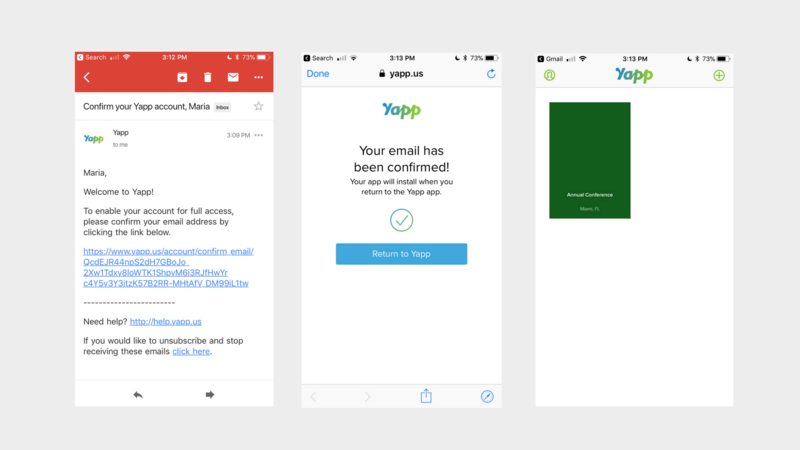 If you are already logged into Yapp with an email address not on the white list or a Facebook account without an email, you will need to logout of Yapp and log back in with the email you were invited with to download the app.